Already anticipated as one of the biggest music events of the summer, spanning London and Manchester with nearly two weeks of live music, the initial announcement of BluesFest 2012 has been greeted enthusiastically by the public and now organisers have announced two more additions to the bill, both of whom draw on different aspects of the blues for inspiration in their own inimitable way – Nick Lowe and Erykah Badu. 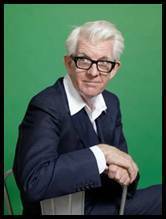 Singer-songwriter Nick Lowe has established himself as one of the founding names in British rock music. With a career stretching over 40 years, he is an esteemed musician in his own right and a revered producer, with notable studios credits for Elvis Costello and Huey Lewis & The News, among many others. Part of the canon of British rock artists who took the rhythm & blues sound from America and made it distinctly their own, Nick’s enduring influence has undoubtedly earned him a place in the music’s history, and a star-billing at this year’s BluesFest 2012. Erykah Badu traces a very different route back to the blues. A prime example of the all-pervading influence it has had on music over the past century, her unique neo-soul sound has its roots deep in the traditions of contemporary black music, taking in blues, soul, gospel, funk, jazz and hip-hop and even going back to its pre-American roots in traditional African music forms. Badu is a multi-award winning trailblazer who has influenced countless other artists over the years, and her appearance at BluesFest 2012 is a fantastic opportunity to witness a true musical pioneer in action. "We are thrilled with today's additions to the Bluesfest line-up; two artists who truly epitomise the wide spectrum of music influenced by the Blues. From America, Erykah Badu epitomises 21st Century Soul music; her lyrics and her sound are current and significant, yet her voice and vocal phrasing is drenched in the tradition, from Billie Holiday onwards.